Continuity Plan: For those with Standard Licensing, the Continuity Plan is the method of obtaining the added benefits already included in Monthly Licensing, while keeping the monthly costs to a minimum. This is a 12 month, renewable, discount subscription plan which allows users to keep their program current on a constant basis. All updates and upgrades are included. An additional benefit is continuous access to the training video library for your program. The Continuity Plan can be paid for on a monthly or annual basis, but it must be fully paid before any upgrades are installed. You may subscribe right away and pay on a monthly basis so that you stay current constantly and don’t give up access to training videos after the initial 60 days. Introducing our new Summit Routing Tools: Specific tools to build your equipment rental business. They are simple, agile route management tools to track and organize service routes: Route Management Lite and Route Management Plus. Introducing our new Summit Service Tools: Specific tools to build your service business without a billing system (simple, affordable, expandable): Service Reminders Lite, Service Dispatch Lite, and Service Reminders Plus Dispatch. 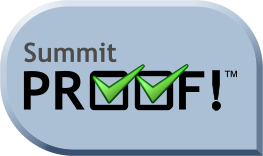 Summit General Use Tools are available to add on to your existing Summit system. Check out our website for these additional, stand-alone products that can tremendously ease burdens within your company: 1) Summit Fleet Maintenance (for trucks, equipment, parts, service schedules and history, warranties, registrations, licensing, and more), 2) Summit Sales Contacts (for salesrep tracking of customers, jobs, timely follow-up, and securing additional business), and 3) Summit Employee Incentives (for near effortless and cost-effective motivation of employees). These affordable systems are natural add-ons for most of our current customers, and they address areas that may otherwise be overlooked and costing you money, when you could be saving or making it! On-site and on-line training are available and may be very cost-effective ways to get your staff familiarized with Summit or take it to the next level. Typically, we recommend phased implementation, starting with 1) background information – setting up the features and business policies for Summit to use on a daily basis, followed by 2) customer accounting (orders, invoices, and payments – the lifeblood of the company), and then 3) routing/dispatching and mapping (gaining efficiencies in the field, where your largest assets and expenses are at work), then 4) inventory control (know where your assets are, where they have been, and accounting for usage or damage), and finally 5) ERIT and/or GPS (tracking proof of service and driver/technician field activities like you are riding in the truck with them – being pro-active in customer service and management). Updates and/or Upgrades may be available for your program. We constantly improve what we offer, and there is probably something you could benefit from. Don't miss out! Call: 800-662-8471 or email or Mark Billings: 925-478-2730 or email to compare notes and see if there are new features you just can’t live without. Unlike some other specialty software vendors, we make updates and upgrades affordable. Leverage your investment and get the latest and greatest! You may be pleasantly surprised at what is included. A new alternative is our new value-packed Continuity Plan, which includes all updates and uprades (described above). Please be notified that we may no longer support the older versions of Summit (Versions 2 & 3). We no longer have the old technology available (hardware and development tools) to continue providing their support. Rather than facing a crisis should some critical program issue occur, we suggest those still on Version 2 or Version 3 programs seriously consider upgrading to our latest version. As with any product, software has a lifecycle. The lifecycle starts when the product is developed and ends when it can no longer be supported. We extended their lifecycle as long as possible, but circumstances have forced us to end it. You may continue to use the older versions of Summit. However, if you move to a new version of Windows, replace your computer, require program changes, or have data and/or programming issues, you may have to face immediately upgrading to our latest version. We now offer multiple editions of our software products to fit your specific needs and budget. In addition, you may license the software on a monthly subscription or a one-time licensing fee with optional Continuity Plan to keep it current. Monthly subscribers benefit from all the features of the Continuity Plan. Please contact us or check this website for information and pricing on our latest versions. It has been a pleasure supporting your account, and we trust we can continue to do so with current technology.